On Friday I dropped Tom off at work again, then went back to our hotel to try to get a little more sleep. I couldn't get to sleep, so I checked us out and headed across the street to read at Borders for a few hours, grabbed lunch, and headed back to pick up Tom. 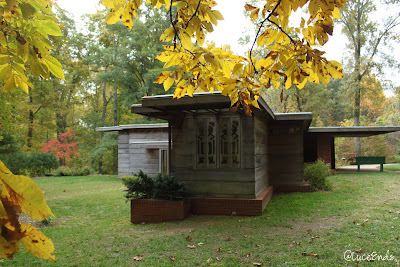 We drove back towards Washington DC, hoping to make it to the Frank Lloyd Wright Pope-Leighley House before they closed. 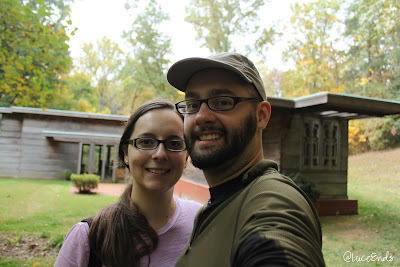 It turns out they closed an hour before their website stated, but we were still able to walk onto the property and see both the Frank Lloyd Wright house and Woodlawn Plantation. 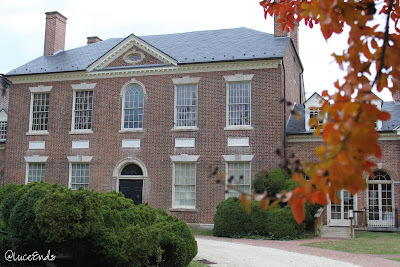 The Woodlawn Plantation is 2000 acres of land with a large brick home, built in 1805. 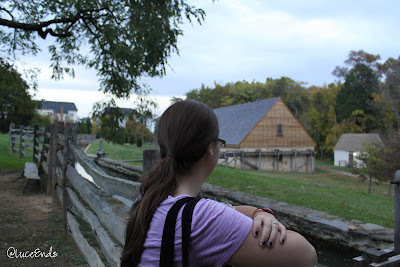 The land and home were a gift from George Washington to one of his younger relatives and was originally part of Mt. Vernon. 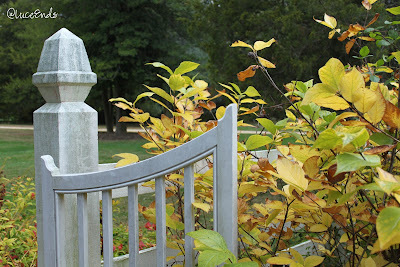 It has been turned into a bit of a museum and park with beautiful old trees and plants. 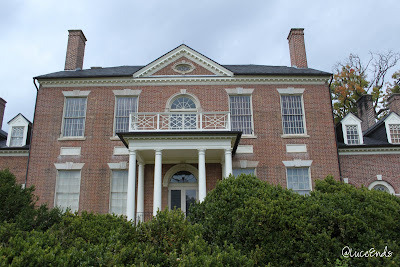 The Pope-Leighley house was moved to the Woodlawn Plantation in 1964 to save it from destruction during the building of route 66. I think it's a pretty simple but nice home. Maybe Tom can build one? On Saturday we slept in, turned our car in at the airport, then hung out for a few hours waiting for our flight. Just as we were getting ready to board it started dumping rain. The little luggage carts our by the planes were driving around in about 8" of water. We had a quick 30 minute flight to Philadelphia where we then sat on the taxi way for about an hour, waiting for them to let us take off because there was a ton of rain once again. On that flight a guy had a heart attack, but a couple doctors who were on the plane were able to take care of him. 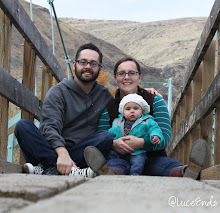 At first they called for EMTs and doctors, which was a little scary to me because I don't feel like I've got a fresh enough mind when it comes to medical emergencies. We finally landed in Seattle, reclaimed out car, and were home!